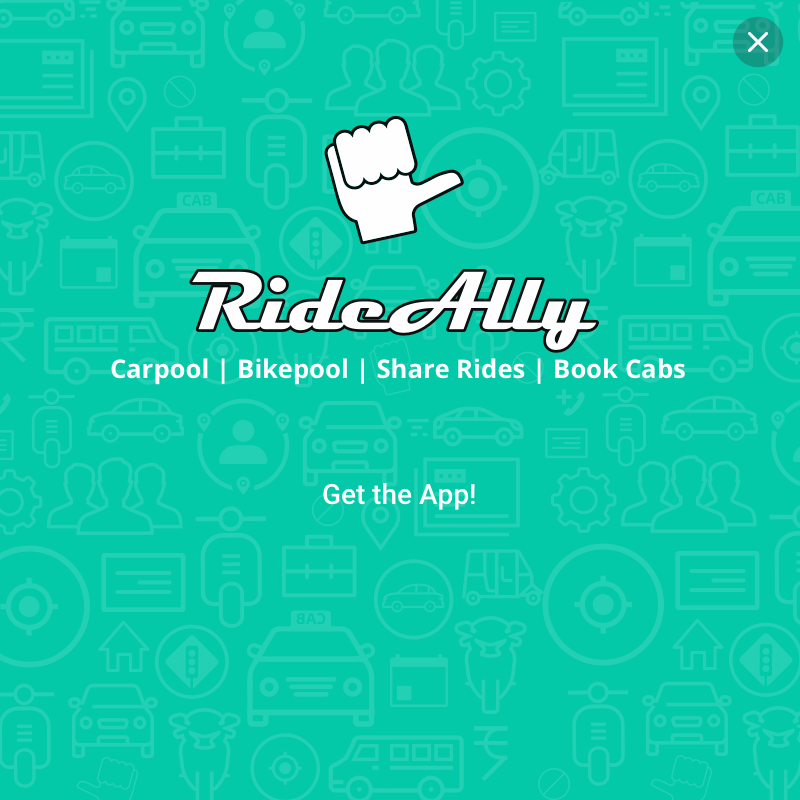 RideAlly -Carpool, Bikepool on Personal Vehicles. Book Cabs for Airport, Local, Outstation travels at Bengaluru. Password length must be atleast 6! It is needed to notify you about your rides, ride members, groups etc. It will be shared with your fellow riders only when you join / offer any ride. Why? Enter the location you normally start your rides from (e.g your home location, or if you prefer not to reveal it, choose a nearby location like a bus stop or landmark.) 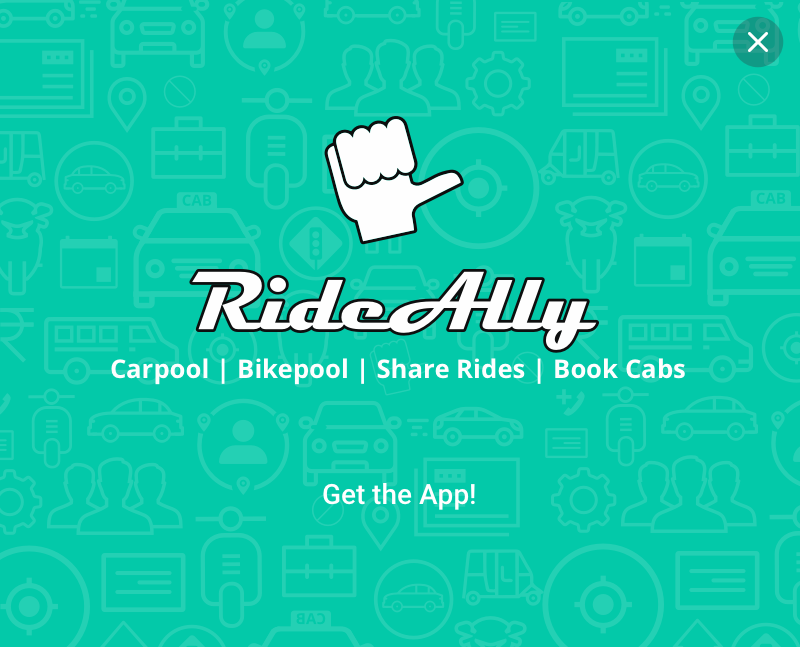 RideAlly saves this as your HOME location. With this you can create rides with minimal steps. RideAlly also proposes you if any ride matches found in the neighborhood. Type 3 characters and wait for the result. Choose address from google places. RideAlly © 2012-19. All Rights Reserved.